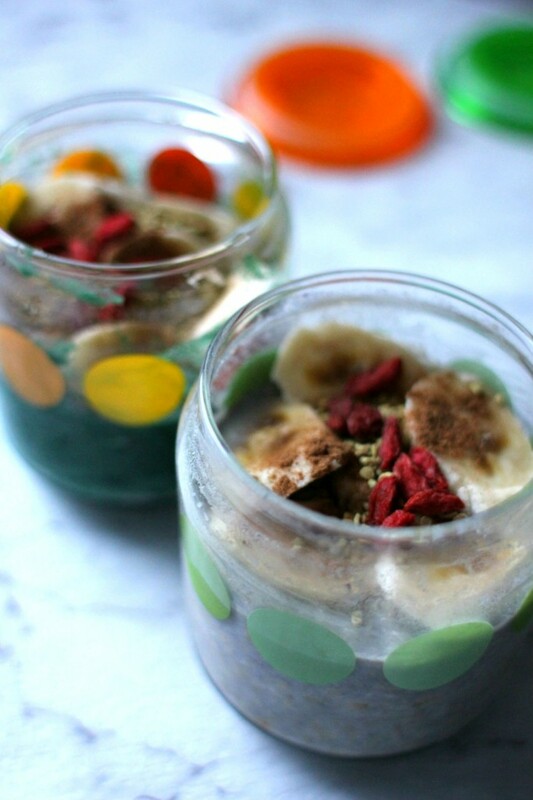 Simple, easy, decadent and healthy breakfast idea! It is an overnight oats. The base is raw rolled oats that are filling, full of fibre and a great source of magnesium, phosphorus, selenium, copper, and manganese. Then you can be as creative as you want for the flavour and texture of the toppings. The list is endless you will never get bored of overnight oats. I’ve chosen to make two different flavours today. 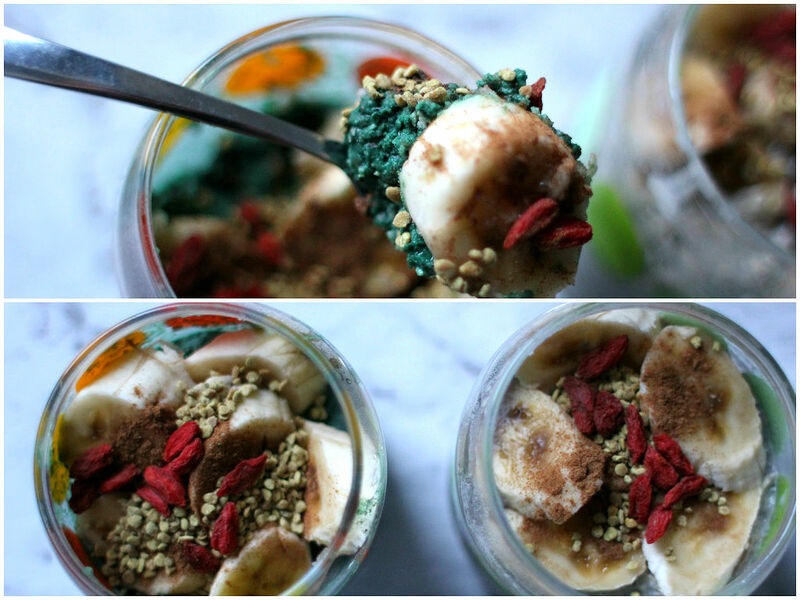 Green monster one with spirulina and raw honey and the purple pretty one with peanut butter and raw blueberry powder, both topped with slices of banana, cinnamon powder, bee pollen and goji berries. For Green oats, I added 1 tsp of spirulina powder and 1 tbsp of raw honey. For PB oats, I stirred in 1 tbsp peanut butter and 1 tsp blueberry powder. Simply combine oats, milk and chia seeds and stir well. Divide the mixture and pour into the jars. Add spirulina and honey into one jar and peanut butter and blueberry powder to another. Give it a stir and refrigerate overnight with a lid on. In the next morning, add toppings before serve.